Animantarx caused a bit of a stir in 1999 when it became the first dinosaur to be discovered by technology alone. Ramal Jones, now-retired University of Utah radiologist, scanned the surface of the Cedar Mountain Formation’s Mussentuchit Member for radioactivity (yes, bones are radioactive… at least in this area) and his modified scintillometer discovered fossils which were competely buried under the muck. His wife, Carole – after whom the quarry was named, discovered the remains of Eolambia here a year earlier but had to use the the sweat and toil method. You know how “funny” men get about women using their gadgets! 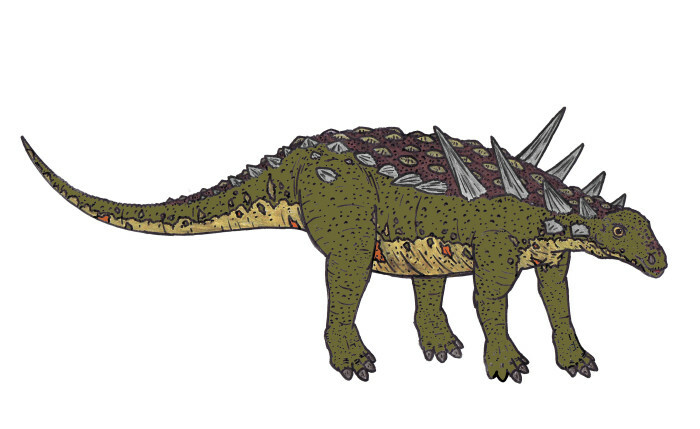 Briefly described as “a Pawpawsaurus-like nodosaurid” by D.L. Burge in 1996, Animantarx was officially named in 1999 and although its remains were mostly crushed and mangled the bits that paleontologists managed to salvage sport both familiar and weird features. 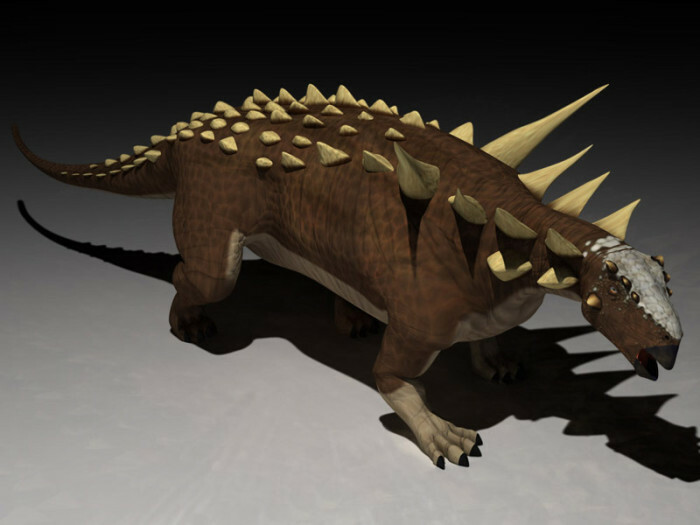 It is a member of Nodosauridae; the spined, lightly armoured and non-tail-clubbed critters who co-occupy Ankylosauria alongside the non-spined, heavily armoured and club-tailed Ankylosauridae, and while its highly domed skull is a feature also seen in fellow nodosaurids Struthiosaurus, Pawpawsaurus and Silvisaurus, it’s unique in having a small hornlet behind each eye socket and on each “cheek” bone, and a lower jaw which is only armoured on half of its length. 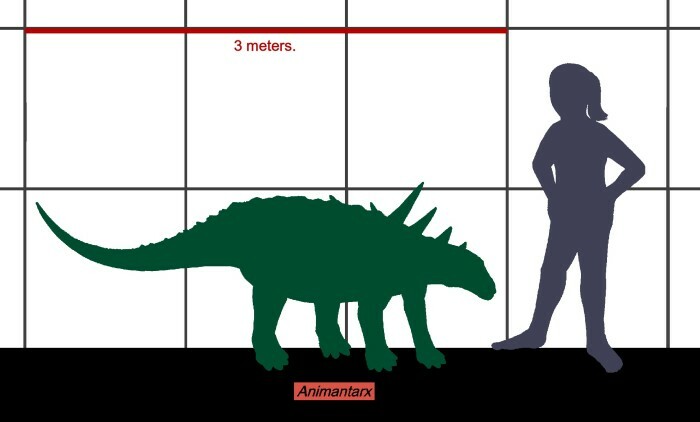 Animantarx is derived from the Latin “animans” or “animantis” (living or animated) and “arx” (citadel or fortress), based on Richard Swan Lull’s 1914 declaration that ankylosaurs were “animated citadels” that must have been “practically unassailable!”. The species epithet, ramaljonesi, honors its discoverer: retired University of Utah radiologist Ramal Jones.